Inert suspension in a harness, even if its is for a little period of time, can cause serious physiological harm. 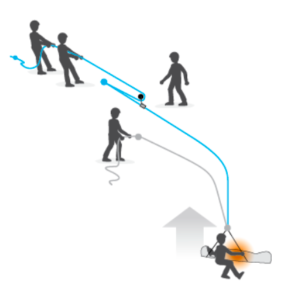 It is important to intervene quickly with the suitable technique, in case of an accident. People must evacuate the building quickly on sites where the main access could be cut off by fire. With the evacuation kits available, you are provided with either a portable or a permanently installed solution on the structure. Use a hook-based system, in case there is no identified anchor possibility. But remember, in both cases, the teams must be regularly trained not to panic in case of a fire. Setting up a risk prevention plan by the company is important when a worksite is being set up. 1. It must safeguard the workforce from falls from height. The solutions whether it is collective or individual, should protect the personnels while working. 2. The company must be ready with rescue systems for accessing, releasing and evacuating the victim, in the case of an incident. The teams undergo regular training in both the cases, so they can respond quickly in case of an accident. The teams in technical rescue must be able to act speedily in any situation. They must choose the fastest and most effective way to approach and rescue the victim. Ski lift evacuation operations follow an evacuation plan. To meet the specific needs of each ski center, rescue kits are put together. This can be complicated at times. 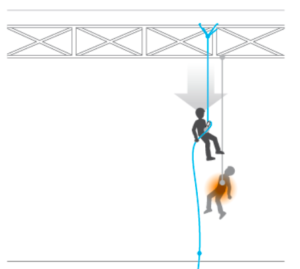 Rope access techniques are used in such a case. 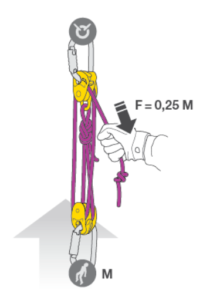 In situations when access is feasible from above, rope descent techniques are used by rescuers. 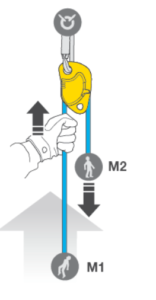 Rescuers can ascend the rope with rope clamps if an access rope is in place. While the rescuers are obliged to use climbing techniques in other situations in order to reach the victim. 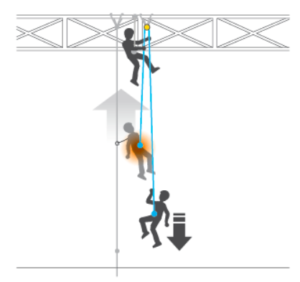 This requires using a mechanical advantage pulley system to raise the victim with ease. 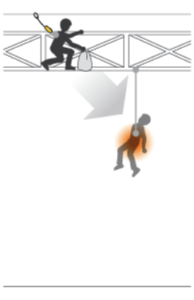 In cases where the rescuer is alone, he will create such a system for conserving energy. The drawback here is that a long rope is required. 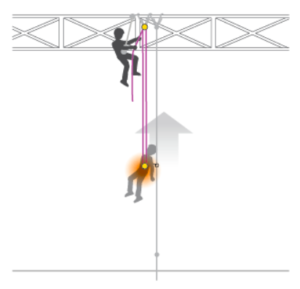 A lower mechanical advantage is used if there are enough rescuers so as to speed up the operation. The victim is on one side and the rescuer on the other. This is a counterweight system. 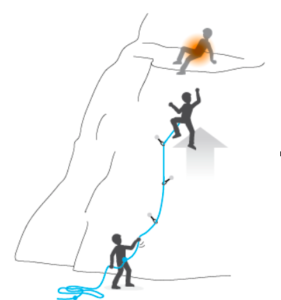 The rescuer first unweights the rope on the victim’s side by pulling on it. The rescuer descends and the victim ascends. The advantage of this system is that it is easy to do with little equipment. Engaging the counterweight demands the most energy. Post that, one needs to be careful to keep the system under control. When there is a big weight difference between the rescuer and the victim, you need to be very careful. 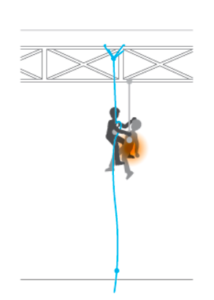 This is the easiest technique in which downward, the evacuation is carried out with a descender. 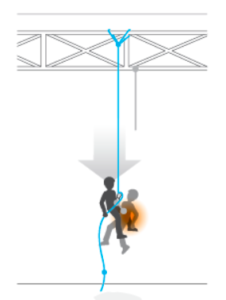 In cases where downward evacuation is not possible, the victim is evacuated horizontally or upward. 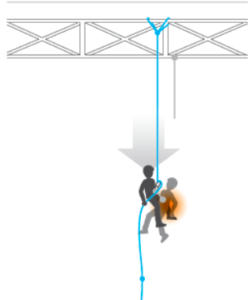 Upward, rescuers use either a hauling technique or counterweight. Horizontally, one or more ropes are tensioned. 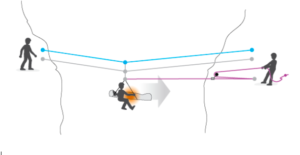 One rope is used for back-up belay, another for carriage and another is used to move the litter.